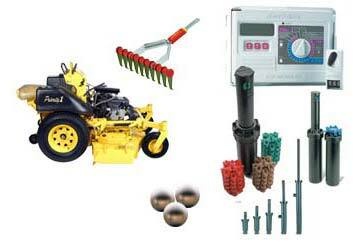 Irrigation Systems & Lawn Care Services - Priority 1 Outdoors Inc. Priority 1 Outdoors Inc. can help you achieve the healthy green lawn you have always wanted. Priority 1 Outdoors Inc. installs commercial grade Hunter and Rainbird underground lawn sprinklers/irrigation systems for your residence or business in the south metro area. Priority 1 Outdoors Inc. provides custom designs and professional installation for commercial and residential lawns. Whether you are building a new home or office building, or if you have an existing lawn, Priority 1 Outdoors Inc. can create a custom design to meet your needs. Our reputation for offering only the highest quality equipment along with our dependability is unsurpassed in the Twin Cities lawn sprinkler systems installation, lawn sprinkler repair business. If your current lawn sprinkler or commercial irrigation system has broken sprinkler heads, leaking pipes or faulty controllers, let the professional service technicians at Priority 1 Outdoors Inc. replace them with quality, efficient equipment. If there are areas of your lawn not getting enough water or areas getting too much water or you just need your entire lawn sprinkler or commercial irrigation system inspected and fine tuned, call Priority 1 Outdoors Inc. professional service technicians today. Let the professional service technicians at Priority 1 Outdoors Inc. maintain, repair or upgrade your current lawn sprinkler or commercial irrigation system, no matter who installed it. Let the experts at Priority 1 Outdoors Inc. help you start up your system. We will go through your entire system, adjust heads making the necessary alignments so each sprinkler head functions optimally. Priority 1 Outdoors Inc. usually begins its Winterization Service October 1st, weather permitting. Our Winterization Service is by far the most important and critical requirement for your lawn sprinkler system. Not winterizing your lawn sprinkler system in a timely fashion can damage your irrigation system. When water freezes it expands and this can possibly damage your pipes and backflow of your irrigation system. This can be avoided by having Priority 1 Outdoors Inc. winterize your lawn sprinkler system. Contact us today at 952-496-2320 to schedule your Winterization Service.